When I went to Winona Senior High, (WSHS) I elected to take a personal money management class taught by Mr. Dave Mertes. That class gave me a solid foundation for my future finances and it’s important to me to pay it forward. At Kathy Rollinger Consulting LLC we strongly believe in investing in our community, and we know that the younger generations are our greatest assets. That’s why we’re thrilled to sponsor the industry’s leading personal finance curriculum, Dave Ramsey’s Foundations in Personal Finance. We’re providing it free of charge to Winona Senior High School students this upcoming school year. If you have a student at WSHS, make sure they register for this course! According to CNBC 78% of full time workers are living paycheck to paycheck. This is exactly why it is so crucial to empower our next generation with financial education. According to US News World Report a global survey published in 2017 found 1 in 5 American teens lacked basic financial literacy skills. Without understanding how key concepts such as credit, debt and interest works it can be difficult to make smart money management decisions. As an extra bonus, WSHS students will also be exposed to Foundations in Entrepreneurship. At Kathy Rollinger Consulting we work with small businesses in our local community providing financial and educational training for all aspects of managing and growing a business. 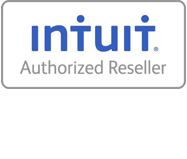 We utilize cloud technology to connect with our clients for QuickBooks support, bookkeeping, payroll and tax planning. We work with them to review their financial dashboard and help them create a solid foundation for profit improvements, growth and cash flow management.